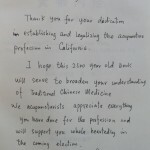 Nearly 40 years ago, then governor, Jerry Brown signed SB86, legalizing the practice of acupuncture in California. 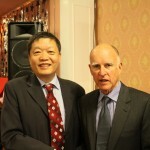 Last week, Dr. Wu met Jerry Brown and presented him with a translated copy of “The Yellow Emperor’s Canon of Internal Medicine.” We wish the best for Jerry Brown in the upcoming election! 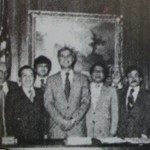 Picture 3- Jerry Brown at the signing of SB86- in 1976!